A funny, personalized, save the date wedding announcement postcard. No stifling formalities, no pomp or show - a fun, cool, save the date card, to announce the big day to friends & family. It features a more formal save the date announcement at the back. 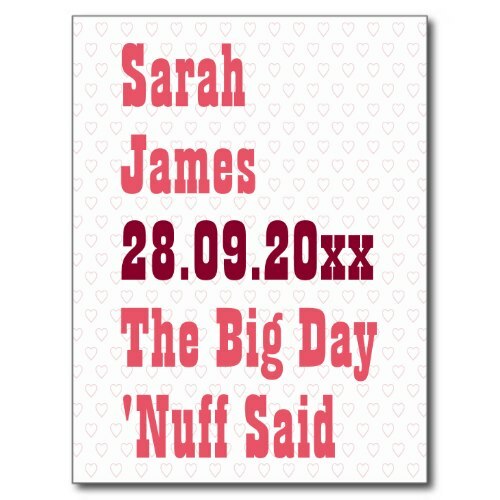 Personalize the card with the wedding date, wedding venue, and bride and groom's names. A fun, humorous save the date card for the bride & groom to send as a couple.